What a great word and photos, I love the way the sun is highlighting the text on the second photo.. 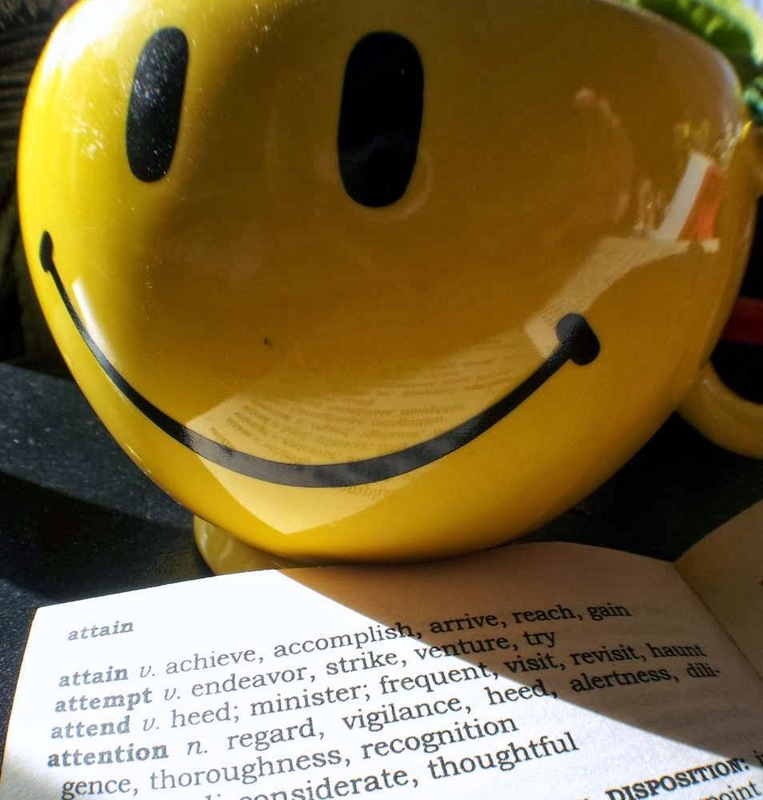 The big yellow smiley mug would make me smile too. Wonderful sunny photo to brighten what is a gray day here. Love your word choice! We get snow and then rain .. finally found my car on Tuesday first time since mid dec.... OF course we got more snow, wind and rain today! Hope you do attain your goals! Love your mug! Great word and great mug to keep you going in the cold winter and attain anything you want. A great choice for your word. I love your photo too! 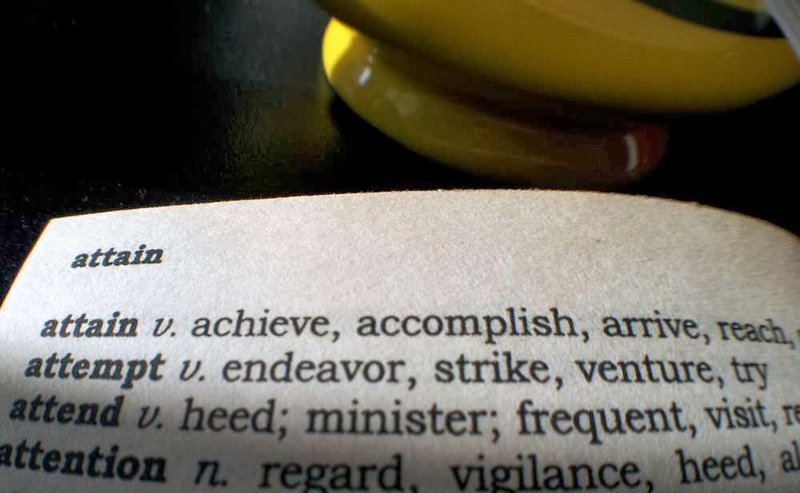 Attain is a wonderful word. From reading your blog I can tell that you have a lot on your plate for this year. I have confidence that you will indeed attain all that you strive for.